A Chanel propõem para a próxima Primavera/Verão, uma maquilhagem suave em tons pastel com detalhes mais brilhantes. O destaque é dado aos olhos através das sombra metalizada (prateada) e do eyeliner preto bastante carregado. Os créditosda maquilhagem pertencem a Peter Philips - director creativo da Chanel Makeup - e das fotografias a Vincent Lappartient. 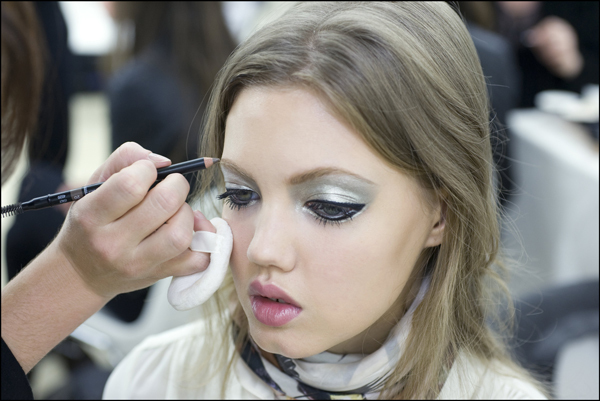 Chanel proposes a very soft, pastel make up with shinny details for this Spring/Summer. the focus is on the eyes through the metalized eyeshadow and dark eyeliner. 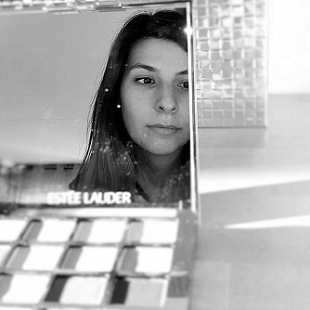 Makeup credits belong to Peter Philips - creative director of Chanel's Makeup, and photos to Vincent Lappartient. Adorei a idéia! Super glamouroso! I love this makeup proposal for spring! Although I am not a make up person and I prefer just a lisptick, I really loved this!! Absolutly awsome post, my dear!! !